Ford has recently consolidated their performance divisions into Ford Performance worldwide. This includes SVT, Europe’s Team RS and Ford Racing. For all the info on this, please see the article in AutoWeek. 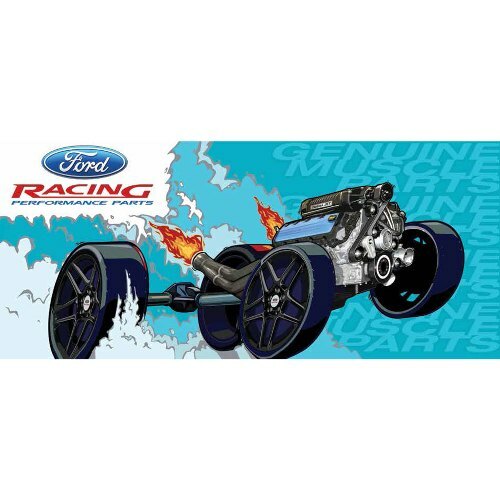 With this news in mind, I was doing my thang and surfing the ‘net and came across this cool logo for Ford Racing Performance Parts. I have never seen it before. I cannot tell you how new or recent it is, but a quick gooooogle search came up with nothing. So it might be new? I’m a sucker for stickers, and this one is pretty cool. If someone can confirm or deny this, please leave a comment. But since Ford is changing the name to Ford Performance, these stickers may be history soon. Get yours at the Ford Racing website.